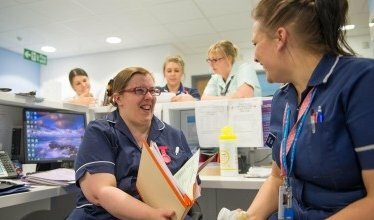 As part of a newly created Nutrition Support Team you will work collaboratively with other members of the multidisciplinary team assisting and providing support and clinical care to patients receiving enteral and parenteral nutrition. The objective of the Nutrition Support Team is to provide an aspirational model for progressive improvements in the delivery of Nutritional care within the Trust and the whole health economy. As a team you will be expected to be responsible for improving patient experience through the development of clearly defined pathways and by making sure that the care for the patients who require artificial nutrition is as effective and efficient as possible. The team will consist of a Gastroenterologist, Nutrition Nurse Specialists, Pharmacist, Dietician and a Support Co-ordinator. 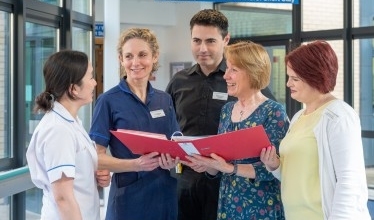 The aim is to be a centre of excellence for the nutrition service providing a structured multi-layered training plan through which you will be expected to provide advice, education and support to patients, their carers and other health professionals. If you can't find the position you are looking for, fill in the form below and we'll add you to our mailing list to be notified of suitable vacancies.